Peru: Over the river and through the woods to visit Kiva borrowers we go! Alright, you caught me. No rivers were forded, nor were any woods traversed. Mostly dirt roads were traveled on and hillsides were (carefully) climbed. 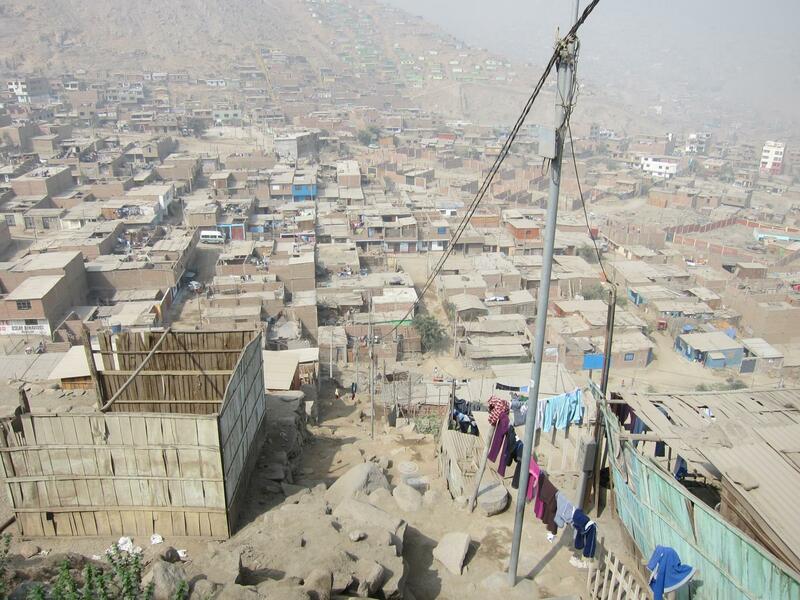 Life in Peru has been wonderfully intense, exciting, tiring, and challenging over the last few weeks. 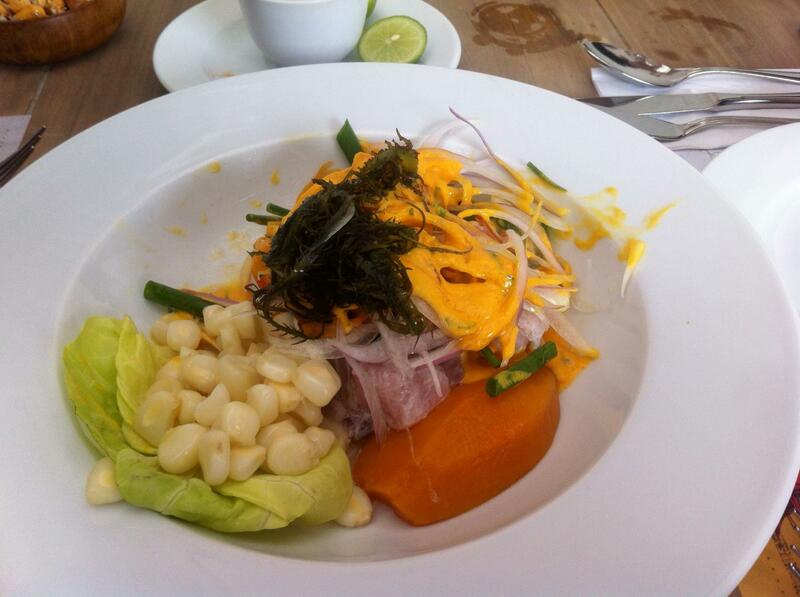 I am not going to dwell on the awesome ceviche and seafood I have been fortunate enough to eat. Nor will I say much about the recent 5.1 earthquake that originated 50 miles off the coast of Lima (or 4.6, depending on where you get your earthquake news from). Ceviche: it's what's for breakfast, lunch, and dinner. EDAPROSPO also lends to students who need to borrow for higher education fees, a loan product that they are trying to develop to include not just students who are given a stamp of approval by a current borrower, but also any student who needs a loan related to completing their university degree. Student loans are difficult to come by in Peru, as banks consider them very risky and thus charge a much higher interest rate. One of the major projects I was assigned for my Kiva Fellowship was to conduct a "borrower verification." This essentially means meeting a randomly selected group of ten Kiva borrowers who are clients of my field partner in order to make sure that the information published online at Kiva.org is accurate: the borrowers exist, the photo in their Kiva online profile is actually them, they used the loan for what was indicated online, they were aware their information would be published for the entire world to see (i.e., on the internet, etc.) It's an audit. But a fun one! What this means is that I would get to meet people from all over the Lima region who for one reason or another needed a small loan to help develop/grow/sustain their business in order to support their family (many of these women are single mothers) and improve their financial well-being. I would also get to meet ambitious college students on track to finish their university degree in order to achieve their goals, all the while working a full-time job during the day and attending class at night. My first borrower visit to meet Monica, a 26-year old single mother, who as part of the Caminando Juntos group ("walking together") used her loan to purchase cheese which she then resells. Without her loan, she told me that she would have no other option for accessing funds and would struggle with underemployment and a non-livable wage. Her near-term dream is to purchase a moto so she can more easily transport her food items to sell. Currently, she has to use buses and taxis to carry her goods, which limits the amount of she can sell and is an additional expense. 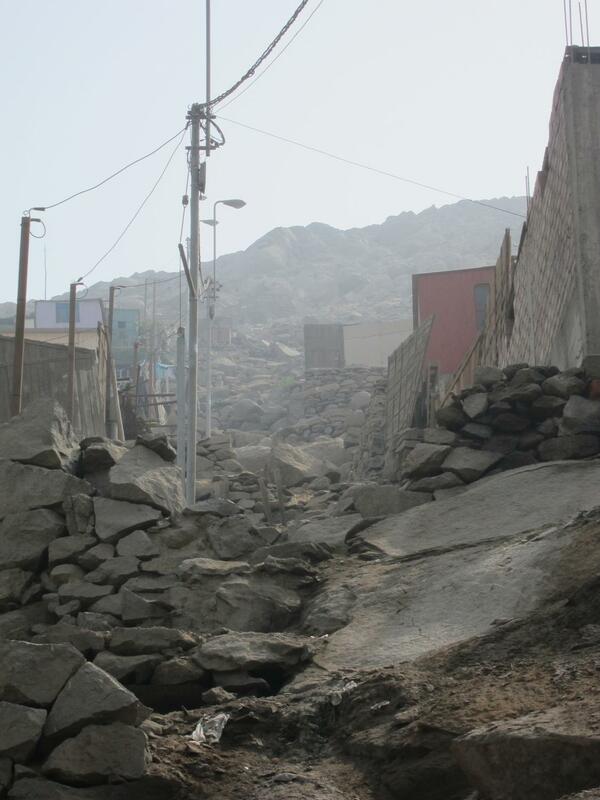 She lives in a neighborhood outside of Huaycán - a small city one hour east of the city of Lima. The daunting task for me: climbing the narrow and slightly unstable set of "stairs" to reach her house. Cuidado! Somehow I made it to the top. View from halfway up the hill to Monica's house. 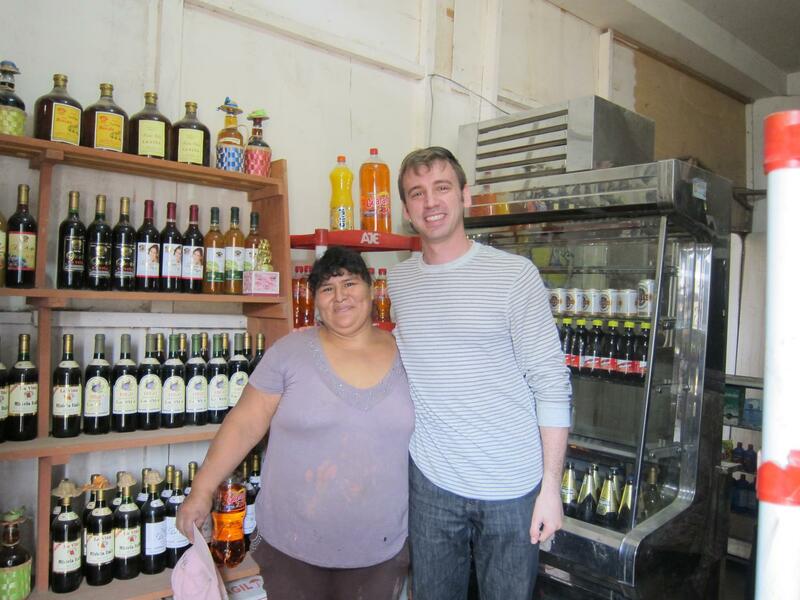 Luzmila - bodega (small grocery store) owner and member of Mujeres Emprendedoras group ("entrepreneurial women"). A charismatic woman who used her part of her loan to purchase wine to sell for Mother's Day and Father's Day. She offered me a sample of her product. Since it was nearing the end of the workday, I acquiesced. Then she gave me a parting gift -- a bottle to celebrate the holiday with my new colleagues! Luzmila and I. Unfortunately she does not take online orders. 20--dollars to purchase of a duck from Olinda, a Kiva borrower who is a member of Una Luz al Desarrollo ("a developing light") group. She raises ducks and chickens and used her loan to purchase animal feed. 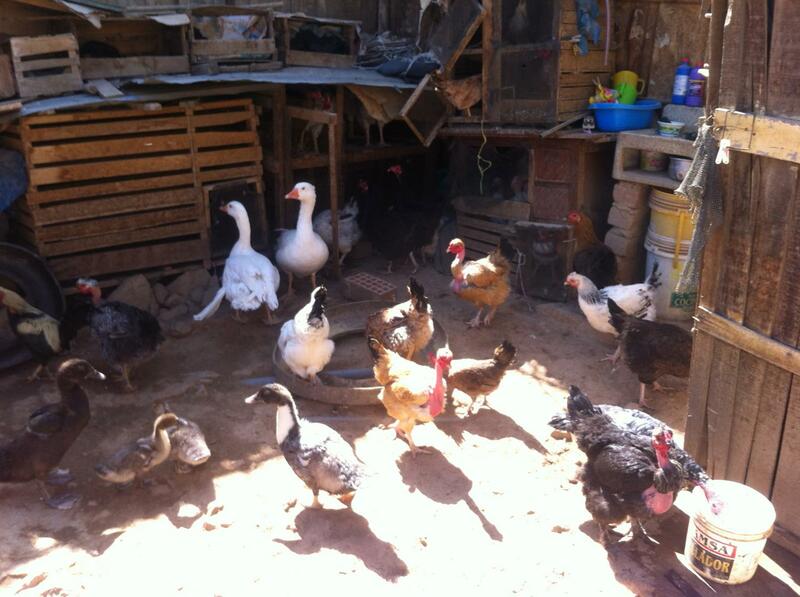 Olinda's chickens and ducks. I'm no poultry farmer, but this looks like free range to me. 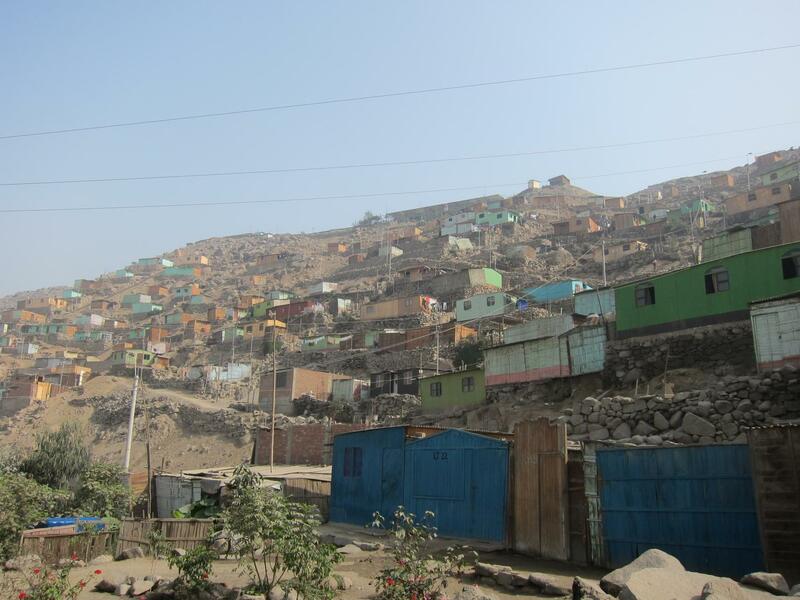 2,000--approximate population of Callahuanca, a farming town 6,000 feet above sea level, residence of San Pablo de Chauca Group, one of EDAPROSPO's newest group of Kiva borrowers. Their main products are chirimoyas and avocados. 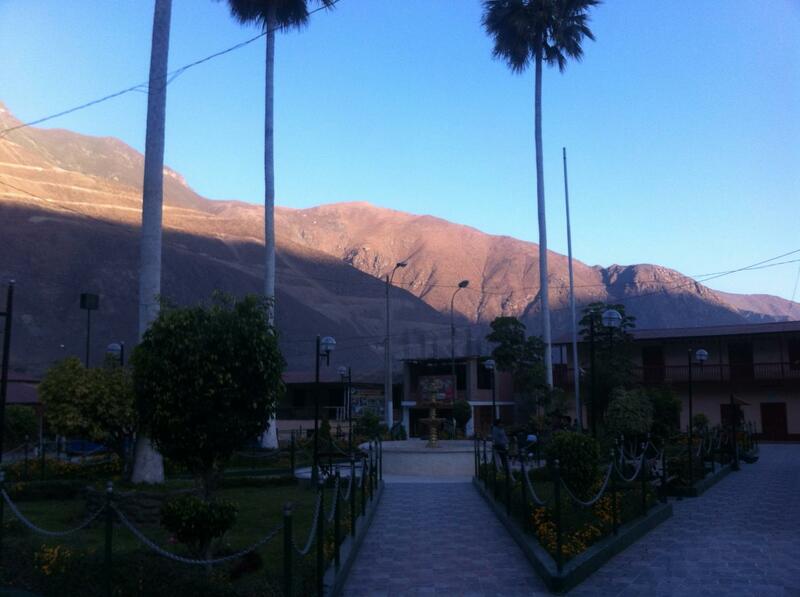 Callahuanca town plaza. Chrimoya fields on the hillside in the background. 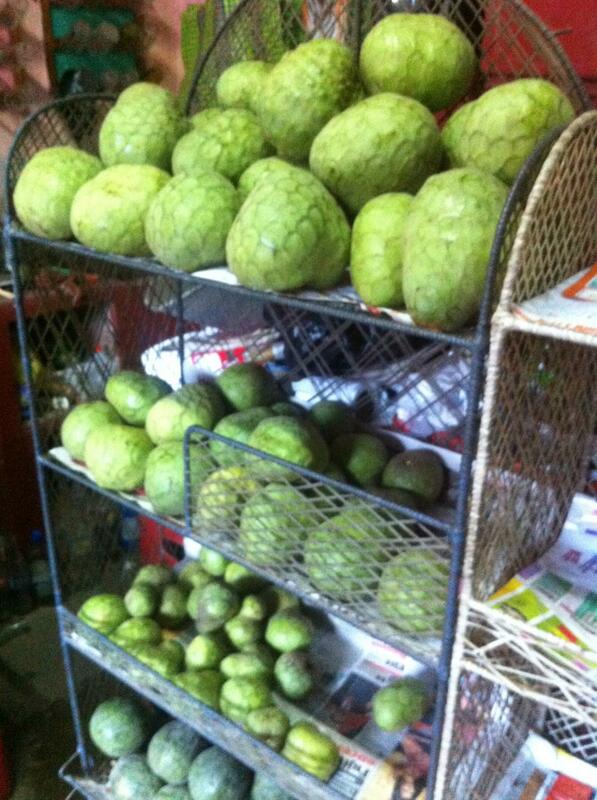 2--kilos of chirimoya received as a gift from said borrowers. Chirimoya. It's like sweet pudding inside of a fruit. Each year there is a chirimoya festival in Callahuanca. Not surprising that the town is nicknamed "Chirimoya Paradise." 8, 4, 1--buses, shared taxis, regular taxi--transportation taken from 730am-830pm to successfully finish my borrower verification. 12.41--total dollars spent on said transportation. 10--how I felt after a week of borrower visits (on a 1 to 10 scale)! Overall, it was a smooth and inspiring set of meetings with Kiva borrowers. I am grateful for having had the opportunity to meet such hard-working, family-oriented, and ambitious individuals. If you enjoyed this update, please join the Fans of EDAPROSPO Kiva Lending Team, or fund a loan from EDAPROSPO. Proudly hailing from New York, Zach enjoys experiencing new cities and local coffee shops. His belief in the power of community-building, person-to-person connections, and technology to create economic growth and improve the quality of life has led him to become a Kiva Fellow. His studies at Northwestern in mathematical methods in the social sciences resulted in a consulting project for the Los Angeles Police Department, which taught him the importance of data in making effective decisions. 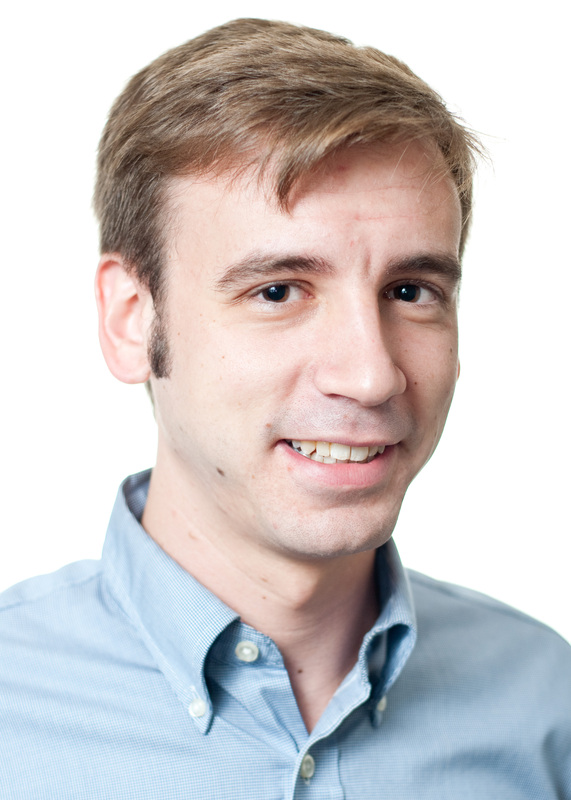 After graduating, Zach moved to Cambridge, MA where he worked for three years as an analyst at the Center for Effective Philanthropy (CEP) - a nonprofit dedicated to helping philanthropic funders assess their performance and improve their effectiveness. Post-CEP, Zach moved back to the bitter cold of Chicago and went to work for Groupon in merchant strategy and then in business intelligence for an online brokerage company. He has also spent a substantial amount of time in Argentina, beginning with a semester studying at la Universidad de Buenos Aires. He cannot wait to start his Kiva Fellowship!